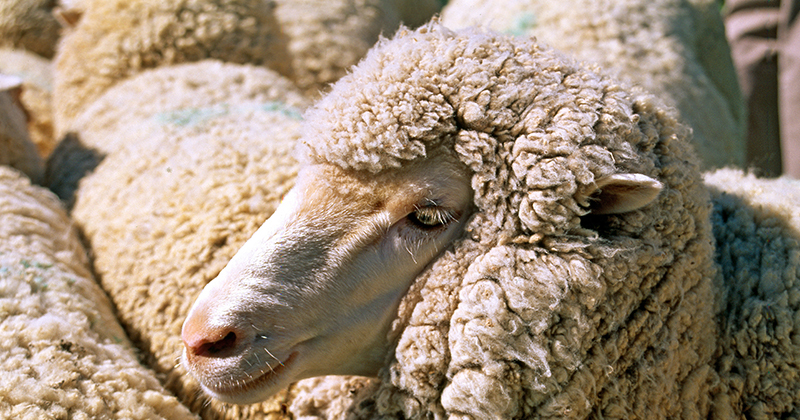 17 Oct Lighter Merino wethers looking profitable – if you’ve got feed. It’s the time of year when Merino lambs from the Riverina and Western NSW start to hit the market. To date, these lambs have been selling well, given the seasonal conditions. We may see the market kick in the coming weeks and as such it’s worth looking at probable and possible margins on buying, growing, shearing and selling these lambs. The best place to get an idea of Merino wether lamb prices is on AuctionsPlus. While there are store sales throughout the Riverina, AuctionsPlus (AP) gives us a weekly prices series as well as weight and descriptions which we can compare to finished lamb prices reported by Meat and Livestock Australia. Figure 1 shows that there is plenty of variability in the AP price. Given most lambs on AuctionsPlus are sold on property, the location of the sale can have a bearing on the price, as can the weight of lambs. The data used here included lambs from 19 to 55 kgs liveweight. The last month has seen the Merino wether lamb price lift strongly. The average price has gone from 250¢ to over 300¢, an increase of over 20%. Wether lamb prices aren’t quite at the highs seen in January this year, or May 2017, but given the seasonal conditions, they are pretty good. Part of the reason for the lift in the ¢/kg rate is a fall in the average weight. The dry year has seen average lamb weights on AP fall to 27kgs, from 32kgs in 2017 and 37kgs in 2016. Buyers are getting lambs at much cheaper dollar per head rates and as such, are prepared to pay more in ¢/kg. So is there any money in buying Merino lambs? Surely with the wool price in the 99th percentile we can turn a buck on buying Merino lambs. The gross margins look good, but costs this year could be high (Figure 3). Wool prices for 19 micron can be locked in at 2200¢ /kg clean for December/January and with a cut of 2.5kgs, this should return close to $40/head. Finished Merino lamb prices should be good in the New Year, with even the weak price of 600¢ delivering a gross margin of $76 per head. The recently released forward contract prices, above 700¢, offer very good margins on growing out Merino lambs. We’ve had a look at gross margins, but of course, costs need to be factored in, with feed, freight, mortality and shearing costs all cutting into the gross margin. A quick calculation of a full ration at $500/t to put on 18kgs liveweight will cost $50-70 per head. The worst-case price scenario still looks pretty good (Figure 3). The strong price, which can be locked in for February in some areas, might encourage stronger demand for Merino lambs in the short term. If you have green feed on hand and are lucky enough to score some of the forecast rain for the coming week, feed costs will be lower, and Merino lambs will be a very good investment. Merino lambs are not cheap in ¢/kg but weights are well down, making them buyable in $/head. Gross margins on growing out and shearing Merino wether lambs are good, but feed costs will make a large dent in profits. If green feed is available in the medium term, wether lambs should be a profitable trade.